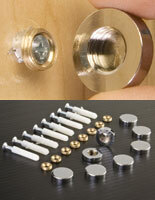 Premium brass & metal plating with gold finish fabrication at discount pricing. 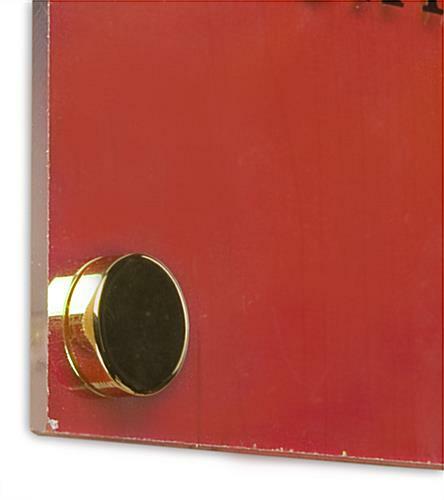 Sold as set of (8) to mount (2) signs. 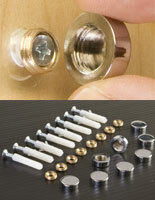 All mounting hardware included: caps, screws and anchors and threaded washers. 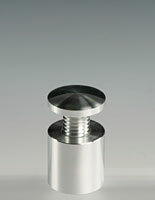 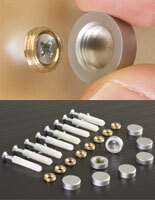 These screw caps are made of metal, not plastic, and boast a polished gold plated finish. 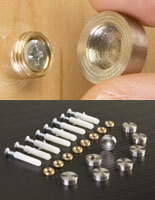 This decorative sign hardware will accent any signage application by hiding unsightly screw heads. 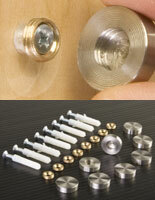 Once the panel is mounted to the wall, the screw caps simply twist onto the threaded washers for a finished and professional presentation. 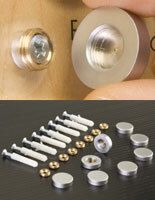 Your purchase includes a set of eight caps, washers, and wall fasteners that be used to mount two sign panels.